Over the years FAOL has been blessed to have many faithful sponsors. 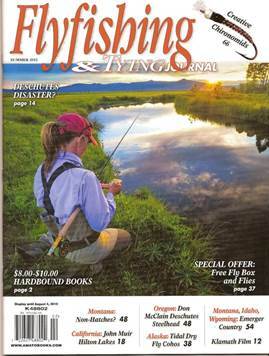 Conditions in the fly fishing industry have changed and most of our sponsors have moved to other venues. Many, if not most, have websites of their own and have cut back on advertising on other sites. We have appreciated each of them and continue to carry many of their sponsor sites without charge. One of the first sponsors of FAOL was Frank Amato Publications, Inc. They paid for a sponsor page and provided us with many pages of free copy by allowing us to use liberally material from their books and other publications. 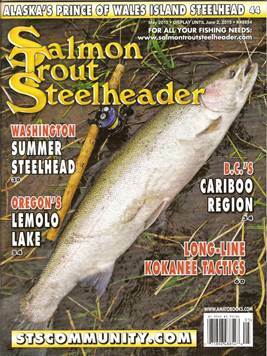 In the two of their most recent publications, Flyfishing and Tying Journal and Salmon, Trout, Steelhead magazine they published a free advertisement for FAOL. This is an example of the type of people that we have been fortunate to work with over the last 17+ years.